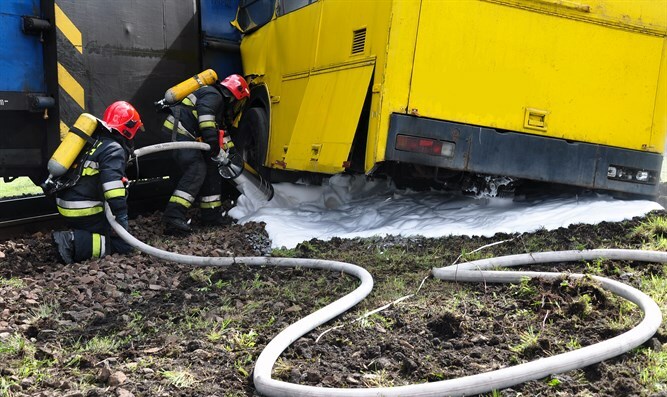 Bus carrying schoolchildren crashes Sunday in central Sweden, killing three people and injuring 56 others. At least three people were killed and dozens injured Sunday afternoon after a bus carrying about 50 schoolchildren overturned in Sweden, local media reports, citing officials. Six people were seriously injured in the crash, 19 suffered moderate injuries, and 31 slight injuries. "It was like a war zone initially. There were children being treated in the ditches and practically everywhere," Peter Nystedt of the Rescue Service told the TT news agency. The bus was carrying a total of 59 people, including 52 children and 7 adults. Three people died, and six were seriously injured. 19 people were reportedly moderately injured, while 31 suffered light injuries. The school children, aged around 14, were on their way from the south-western town of Skene to a ski trip in Jämtland. One of the passengers told TT the children were asleep when the accident occurred.